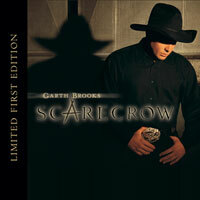 What is your favorite song on the album 'Scarecrow'? 105 Million Garth Albums Sold! Please come read interesting topics and sign up to post! Meet other people interested in Garth like you! donation to this great charity! READ GARTH'S LETTER ABOUT THE CHARITY! video for the song "Wrapped Up In You"! and to view her photos of Garth as a Met! check out this new Garth site! Since 4/10/98 this SITE visited over 777,777 times!